The reviews are in and many find the changes that have been made to this series to be great. Nintendo has deliberately reconstructed the games formula, such as abandoning the gym’s, in exchange for non-combat challenges like scavenger hunts and quizzes. This isn’t to suggest that nothing has changed since the first games were released 20 years ago. Pokemon Sun and Moon also focuses more on plot than usually, although the villains remain simplistic. It is possible that long time fans of the series might not enjoy these changes, but I think Nintendo and Pokemon will be better for it. Want the latest on Anime, buy Coro Coro. Hala – The Kahuna of Melemele Island. His speciality is Fighting. Olivia – The Kahuna of Akala Island. Her signature type is Rock. Nanu – The Kahuna of Ula’ula Island. His speciality is Dark. Hapu – The Kahuna of Poni Island. Her speciality is Ground. But that doesn’t mean absolutely everything in Sun and Moon is streamlined. You still have the nostalgic, but slow “handing over and charging up of your Pokemon” whenever you heal them at a Pokemon Center (a holdover that seems especially odd when you sometimes meet characters on your adventure who heal your team instantaneously). Sometimes you have two or more shopkeepers in the same store standing right next to one another who sell completely different goods–if you want to buy healing items, you have to talk to one, while if you want to purchase new abilities and moves you have to talk to the other. Pokemon has finally gotten rid of HM’s, instead opting to allow trainers to call Pokemon to fly or swim, without having to have them in your party. Pokemon in the wild now have the ability to “call in help,” this doesn’t appear to have a limit. Despite the changes to formats and moderate alterations to the series, Pokemon Sun and Moon still has the main aspects of the previous games. Capturing Pokemon and training them is still the most important parts of the series. You have a larger selection of Pokemon to choose from earlier in the game. I think this will help create a larger variety of Pokemon teams created. Some unfortunately aspects of Pokemon remain, most notable the over simplistic villains. Team Skull continues the trend of villains being thinly developed characters. Removing the gym’s may or may not be good long term. It is suggested in game that a new Pokemon league will be created. Whether this will occur after the game ends or it is being telegraphed as an addition for a sequel. Regardless, Pokemon Sun and Moon represent a positive change in the series, getting rid of some of the most troublesome qualities of previous games. Interesting. So with the gyms removed, I assume there is a different event to trigger the end other than collecting all badges and beating the champion/final challenger? Yes, I think we need to beat the game to find out. 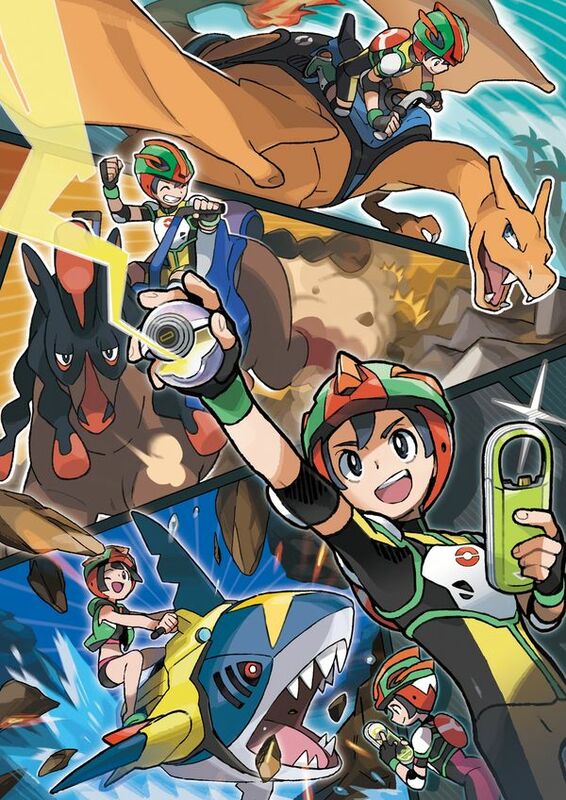 That said the Pokemon league has been hinted at in the game. But I think that will happen in the sequel to the game or some kind of downloadable content. Aye. I’m not opposed to the changes at all provided the game still feels like Pokemon to me (which is part of why I can’t stand Go, it just doesn’t feel like Pokemon at all to me). It’ll be a fun one to follow I think. I think the changes will be good for the series. Thus far, they sound relatively balanced; enough of a change to freshen thing sup but not so major that they change the feel beyond recognition. It seems like that was what Nintendo was going for. I think it will work. I am glad they have implemented so many changes. Pokémon certainly needed it.